If you were watching the 2014 Super Bowl, chances are you saw The Matrix commercial. No, we don’t mean a commercial promoting the actual Matrix movie trilogy. We mean the car commercial parody based on the mega-successful film franchise. In the 60-second spot, Laurence Fishburne reprises his role as Morpheus, the omniscient leader of the Matrix’s anti-machine rebellion. 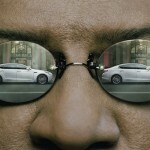 This time, instead of helping Neo reach his full potential, Morpheus helps a couple redefine their perception of what constitutes a luxury car. This advertisement for the 2015 Kia K900 is funny and memorable but the subtext is serious. Once best known for creating inexpensive cars, Kia has been working very hard to create a better reputation for its products. 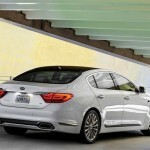 Now, with the launch of the K900, Kia is attempting to do what Hyundai has done before: Break into the luxury vehicle class. It was an uphill climb for Hyundai as well, but their Hyundai Equus is now an award-winning luxury car staple. 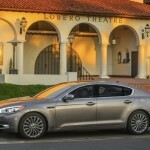 Can Kia’s K900 break the same barrier? On a recent test drive in Newport Coast, CA, Scott McKee of Kia, described the K900 as, “Luxury that you live with” — a deft nod to the casual, unpretentious vibe of the K900. Here are six features that may back up his claim. Scrape the Sky. Well, maybe not the sky, per se, but close. 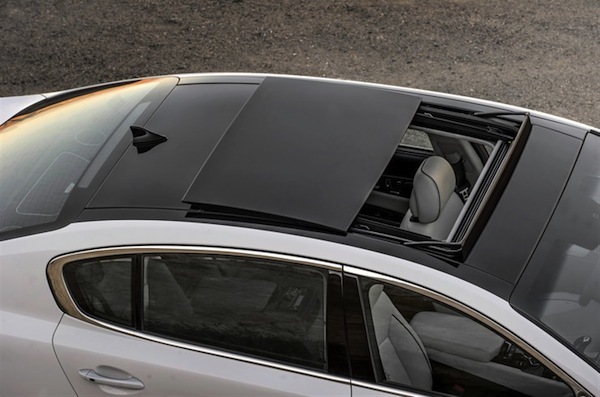 Most sun roofs roll back to expose the sky above but not the K900. Push the lever located near the rearview mirror and the ceiling of the K900 will part in the middle, rolling open like the large bay doors of an airplane hangar. It’s a small detail but it brings pretty of wow-factor with it. 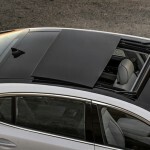 Plus having just one lever to operate for all the various settings of the tinted panoramic sunroof is pretty nifty too. Get Low. 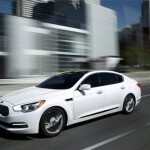 The K900 has front view video cameras that can be toggled at low speeds to show what’s immediately in front of your car. This can come in handy for many things, like negotiating the too tight turn of a fast food drive through or being extra careful when your daughter’s dog, Muffy, runs in front of the car. Once activated you’ll see the view in front of your car pop up on the navigation screen. Up-sell. The gearshift of the K900 looks and feels very similar to that of most BMWs. It feels like a joystick, has a push button for “park” and (like the BMW) instructions for how to use it will pop up on the dashboard if you don’t get it right after a couple of tries. Imitation is the best form of flattery and this gearshift is a not-so-subtle way of reminding you that you’re not driving your father’s Kia. Underground Luxury. Since the K900 is a luxury vehicle, it goes without saying that the interior is layered with plush materials, like Nappa leather, and textures, like genuine wood inlays. The crowning glory of the vehicle however, is the limo-ready backseat. 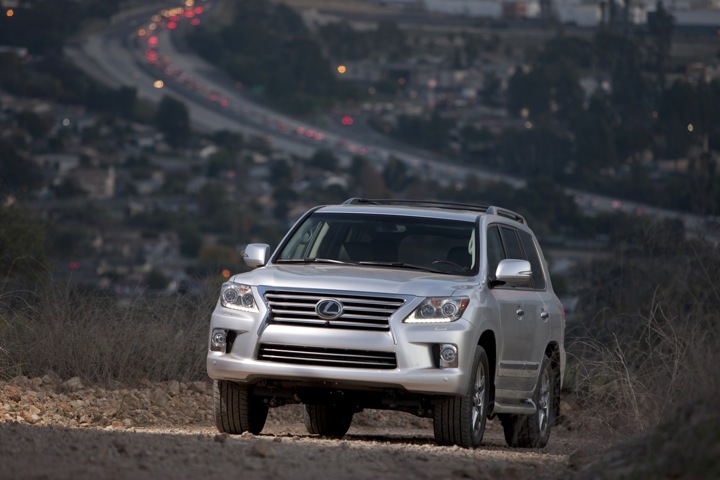 Not only do the rear seats have easy-to-reach power adjustments, they can also be heated or cooled. Plus, the rear seat is a dual climate zone so if four people are in the car, four different temperatures can be set. A godsend for families. As if that wasn’t enough, the rear seat also has a set of controls built into the armrest that even allow you to move the front passenger seat forward to give you more legroom. Bossy. Don’t Push Me. 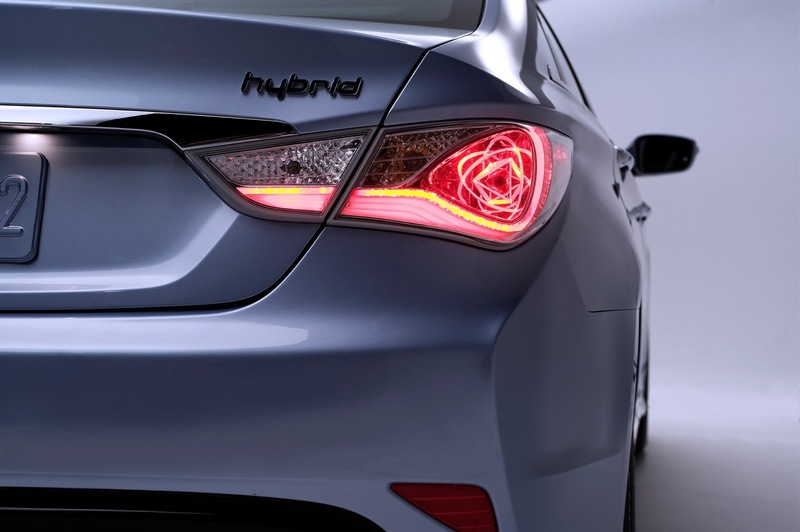 You may have heard of advanced smart cruise control. Once activated, you can set the cruise control for any speed and the K900 will keep that speed unless it senses another car in front of you. In that case, the K900 will slow itself down to maintain a user-defined distance from the car in front. If the car in front of you comes to a full stop, so will the K900. And, as soon as the car gets out of your way, the K900 will resume its cruise control speed. We also found that this feature picks up on highway barriers erected at sharp turns. It was surprising the first time but, once we got used to it, it was useful in slowing the car down on dangerously curvy roads. Can You Hear Me Now? Lexicon, the creators of Logic7 surround sound, have actually won a GRAMMY. To be precise, they won a “Technical GRAMMY award for contributions to the art and science of music recording and reproduction.” That said, you’ll be pleased to know that the K900 comes with an exclusive Lexicon in-car audio system, which includes 17 speakers and a 900 watt digital amplifier. The system is designed to provide “stunning clarity,” no matter where in the K900 you’re seated or how loud you crank it. Eyes Up. Another high-end option available via the K900’s VIP Package is a heads up display (HUD) that projects pertinent driving information on the inside of the windshield. The resultant info box hovers just below the driver’s line of sight and can be customized to show the car’s current speed, the presence of other vehicles in your car’s blind spots, cruise control info and even navigation directions. One glitch we noticed here is that if the HUD is showing navigation info and a car comes into the right side blind spot, the blind spot notification in the HUD will temporarily replace the navigation directions. Still, it’s nice to have so much info right in front of you. Overall, we think the Kia K900 has a better than decent shot at getting noticed but it’s going to take some time to overcome long-held opinions of Kia as an inexpensive college car. When we posted pictures of the K900 on Instagram one of the first comments was “FOH” (online slang for “f*ck outta here”). If that comment is any indication, it’s going to take all of Morpheus’ combined powers to bend public perception. One simple thing Kia could have done to help things along was to reduce the Kia branding on the car. 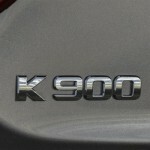 Using a stylized “K” or simply “K900,” as opposed to the usual Kia nameplate on the hood, steering wheel, trunk, etc. could have given Kia a head start on fighting preconceived notions. Fun Fact: The K900 is only offered in a few stately color combinations that help reinforce the idea of luxe.